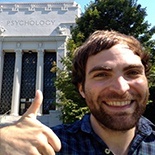 Ben Ambridge is Professor of Psychology at the University of Liverpool and the ESRC International Centre for Language and Communicative Development (LuCiD). 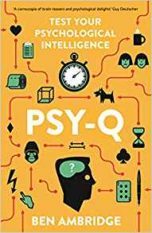 His first book, Psy-Q: You Know Your IQ – Now Test Your Psychological Intelligence, has been translated into fifteen languages worldwide, and was shortlisted in the Popular Science category for the British Medical Association book awards. 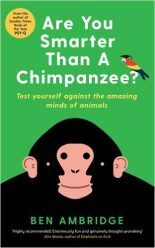 His follow-up, Are You Smarter Than a Chimpanzee? led to an appearance on Channel 4’s Sunday Brunch, while his TED talk on The Top 10 Myths of Psychology has been viewed over 2½ million times. Ben has written as a regular columnist for The Guardian/Observer and The Big Issue.